Evelyn and Brandon had a busy holiday weekend with a water theme. 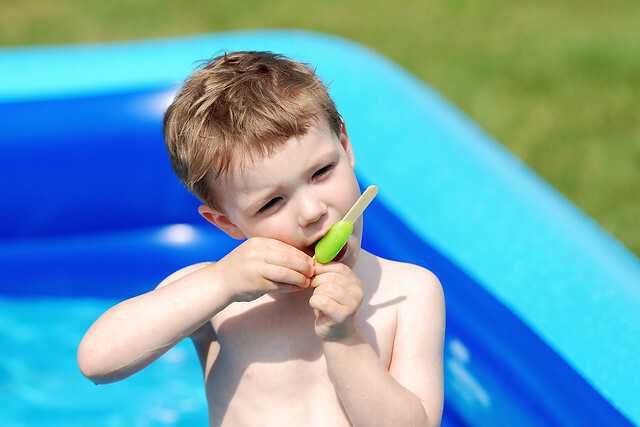 It started in the backyard with a popsicle and a dip in the (inflatable) pool. 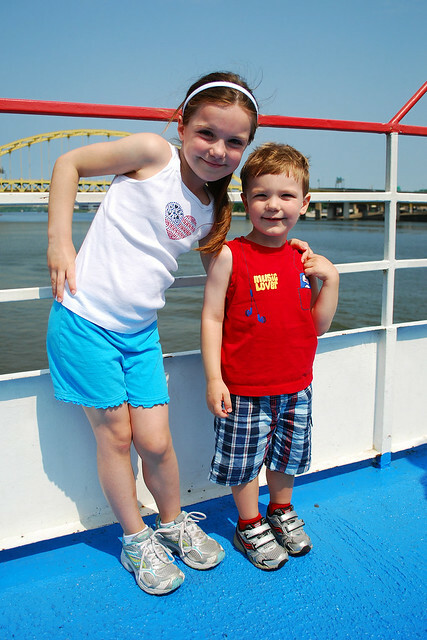 Then we took a Gateway Clipper Fleet cruise around Pittsburgh's three rivers. 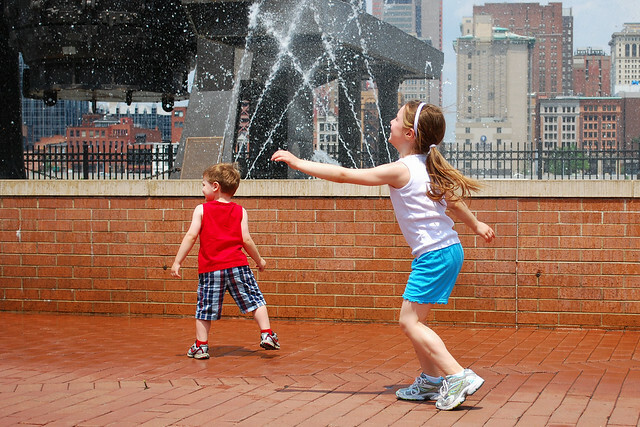 And grooved to the music with the dancing fountains in Station Square. More of the weekend's aquatic fun is on Flickr.